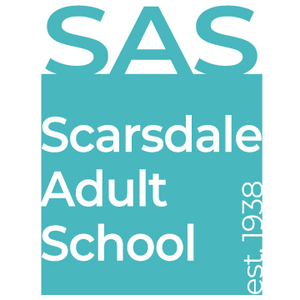 Scarsdale Adult School welcomes spring with an all-star line-up of special events as well as an exciting selection of classes in humanities, languages, writing, career development, personal finance, arts and crafts, photography, fitness, card and board games, health/wellness, and “edutainment.” Registration is already underway at www.ScarsdaleAdultSchool.org. Hot topics include best-selling author visits from Randi Hutter Epstein (Aroused), Jill Schlesinger (The Dumb Things Smart People Do With Their Money), and Jonathan Haidt (The Coddling of the American Mind) and local notables such as Mimi Rocah, former Assistant U.S. Attorney and current MSNBC legal analyst. This semester includes many new health and wellness courses. Mindful writing, mindful eating, and creative journaling supplement the more general classes in yoga, meditation, qigong, and acupressure. Melissa Wetzstein will introduce intuitive nutrition practices with a spring cleanse and summer sustenance series. Followers of Marie Kondo or those curious about her popular podcast may take a workshop with Karin Socci, the first consultant for Marie Kondo be certified at the platinum level. Next semester’s walking tours include public art installations and galleries throughout NYC as well as architecture tours of Brooklyn Heights, Central Park West art deco, the Woolworth Building and and the Arthur Manor neighborhood of Scarsdale. Additional theme tours include Edith Wharton’s New York and the Audubon Mural Project in Harlem. Artists and art historians will highlight the latest exhibits at the Met, the Guggenheim, MoMA, and the New Museum. Literary discussion groups cover teen literature with Scarsdale Middle School English Department chairperson Denise Del Balzo, the stories of Grace Paley, Marilynne Robinson’s Gilead trilogy, picture books, poetry, as well as perennial favorites BookTalk with Harriet Sobol, contemporary memoirs with Lori Rotskoff, and short stories with Marilyn DeRight. Single-subject classes will focus on A Place for Us by Fatima Farheen Mirza and Becoming by Michelle Obama. Movie matinees explores the element of suspense. Music and dance appreciation delves into the Great American Songbook, Bach, Schubert, Swan Lake, and early twentieth century composers. SAS audiences can look forward to live performances by Cristiana Pegoraro, the Hoff-Barthelson faculty, members of the New York Philharmonic, and several internationally-acclaimed chamber music ensembles. Students may improve their French, German, Italian, or Spanish language skills. Aspiring performers can be swept up in song or improv. Arts and crafts opportunities include flower arranging, calligraphy, cartooning, drawing, basket weaving, decoupage, knitting, jewelry-making, metal work, mixed media, quilting, and painting. Photography courses appeal to those with a passion for cameras of all shapes and sizes. Courses abound on how to jump-start careers or wind them down with retirement and investment planning. From country line dancing to body sculpting, fitness and dance classes cater to varied activity levels and interests. Games galore allow students to hone their bridge game or take up canasta or mah jongg. With staggered class start dates throughout the year, daytime and evening meeting times, and convenient class locations, SAS is a proven source of round the clock fun and enrichment. Courses are open to all, regardless of residency, and fill on a first-come/first-served basis.